I remember reading the history of the 1986 K2 disaster that saw a number of people perish including Julie Tullis. 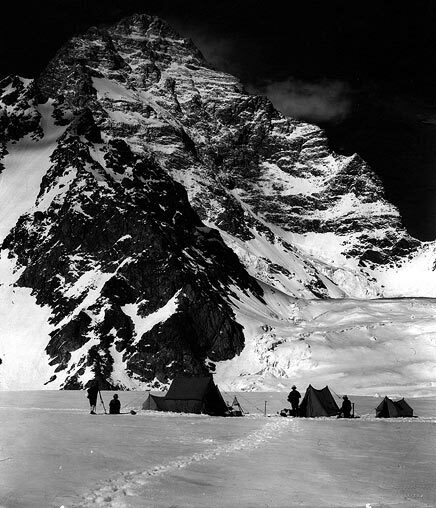 One of the few survivors, her much more experienced climbing partner, Kurt Diemberger, survived a multiple day storm at the high camp… by doing nothing… conserving energy and exercising egoism. He weathered the storm by staying still and draining his considerable body weight. Last night after I sent an update from high camp about our impending departure, Pemba knocked on our tent and delivered two pieces of news: Dawa, one of our sherpas, is not well and has to be put on oxygen and a fixing team that was hoping to go ahead that night chose to leave the morning after. Our plan A to piggyback on the fixing was being moved by 24 hours and the Plan B to attack the last 1,000m of altitude gain alpine style came into question with less manpower. We weigh safety vs weather vs staying 24 hours more in the ‘death zone’ and choose to stay. I sleep on 0.5.L of O2 and wake up us as new. Josh has a good night. Dani, who chose to climb without O, had nightmares at this new altitude. There is intense harking and spitting outside of our tent. It’s 6am. I take off my O2 muzzle. We have a long and motionless day – Kurt-style ahead of us. We make an inventory of remaining food and gas – enough to carefully ration for one day. But no more. One gets very torn between giving a helping hand and sending someone down. Unlike K2 the descent from the high camp on Makalu is pretty straightforward. We hear thunder in the distance.. its power to startle is potent here.